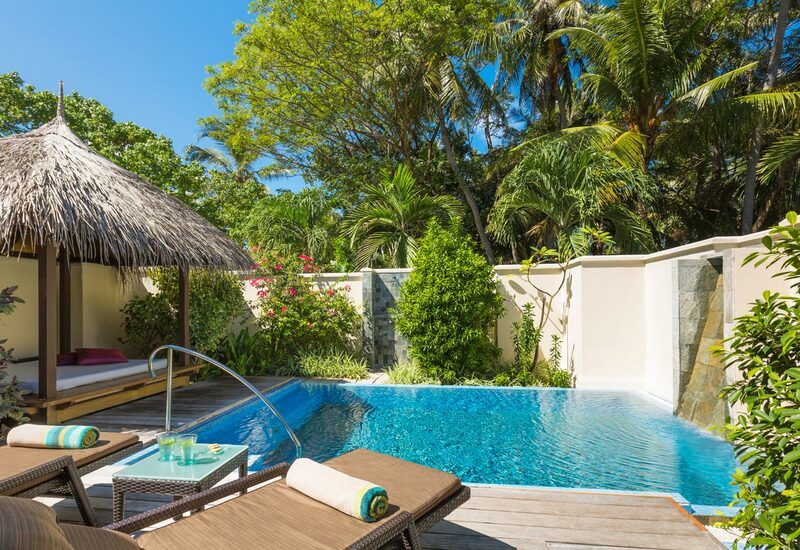 As the Maldives' very first private island resort, Kurumba Maldives is a vibrant hideaway set in dream-like surroundings. With luxurious guest accommodation, heartfelt service, eclectic dining venues, and adventurous excursions, this serene spot promises an unforgettable stay. Spend days relaxing on the powdery sands, sail the waters on a catamaran, or go in search of colourful marine life on a scuba diving trip. Discover moments of pure bliss at the spa while the children have endless days of fun with action-packed activities at the kids' club. 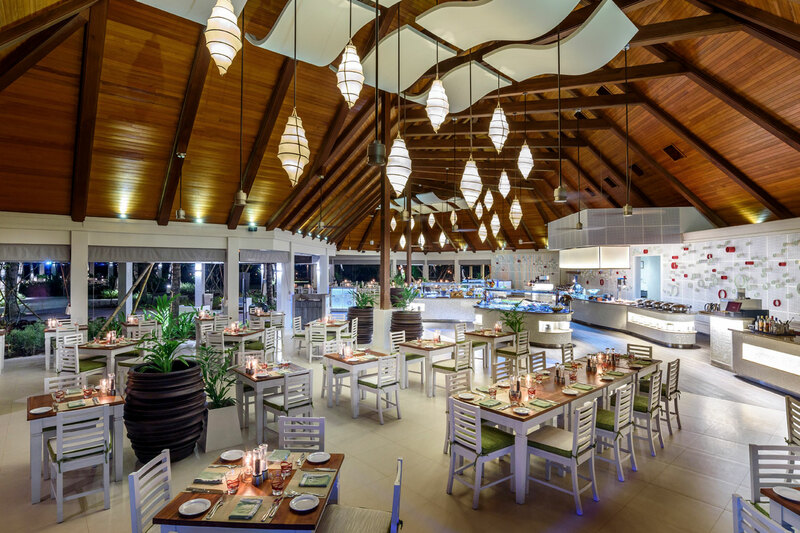 For unmatched dining, sample authentic Maldivian flavours in scenic open-air settings then enjoy live music and dancing with a classic cocktail. 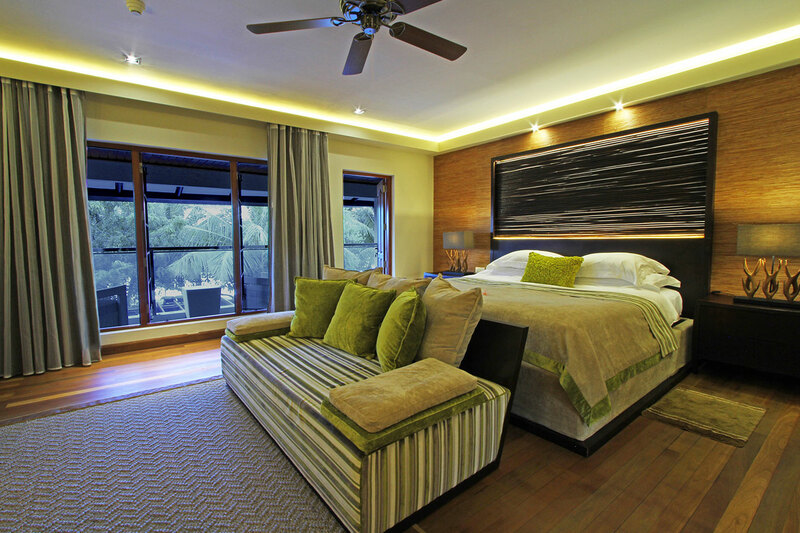 Recharge in the peaceful guest accommodation before reliving another day in paradise. 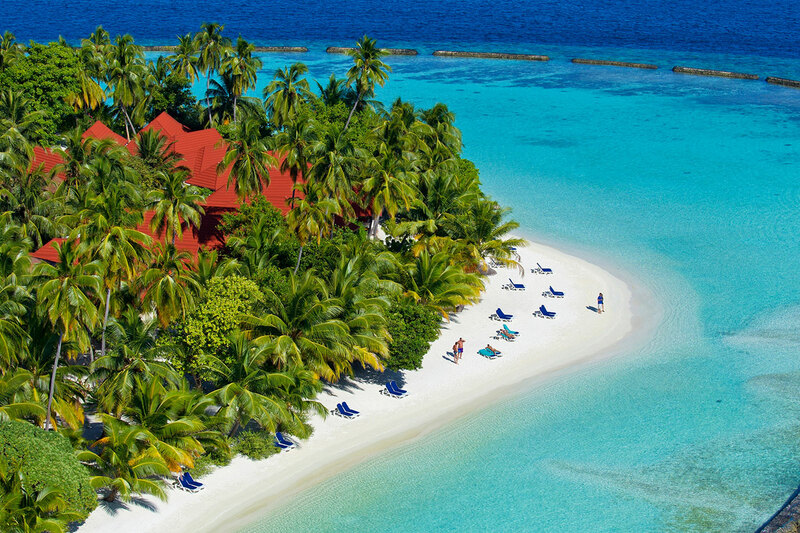 Guests can find an abundance of facilities at this idyllic island resort. Highlights include: two swimming pools, children's pool, kids' club, daily activity programme, excursions, games area, water sports, sports area, 24-hour gym, three tennis courts, spa, two boutiques, orchid nursery, DVD library, eight restaurants, and four bars. Other services include: luxury speedboat airport transfers, 24-hour reception, on-site doctor, laundry and dry cleaning, babysitting, and Wi-Fi. 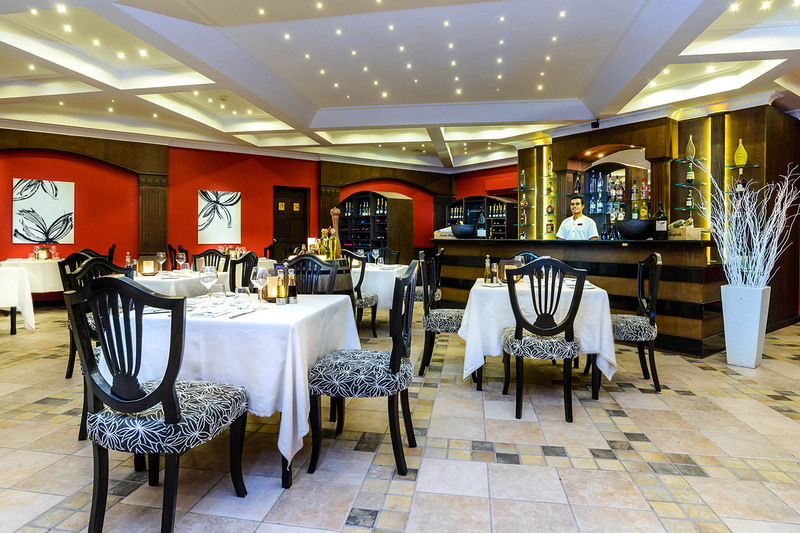 Choose from eight enticing dining venues serving an array of exquisite cuisine. 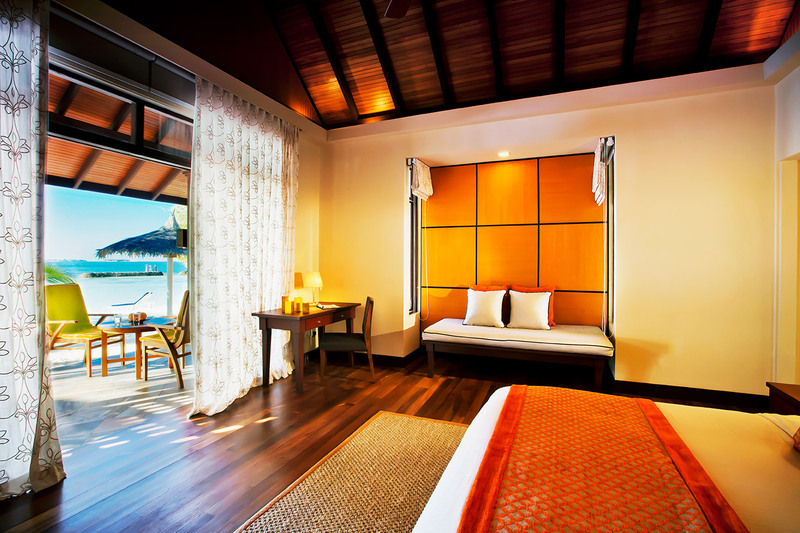 At Vihamana enjoy delicious breakfasts in the morning and Japanese, Italian, Indian and Maldivian dishes in the evening. Discover more tempting breakfast options at Thila with fresh seafood dishes and aromatic spices for dinner. Savour Japanese specialities at Hamakaze, Middle Eastern favourites and rich spices at Al Qasr, and authentic Indian dishes at Mahal. At East enjoy oriental-inspired cuisine and a rustic Italian menu at DUO. For laid back poolside dining, head to Cafè to enjoy light bites and comfort foods. Guests will also be left spoilt for choice when it comes to the bars. 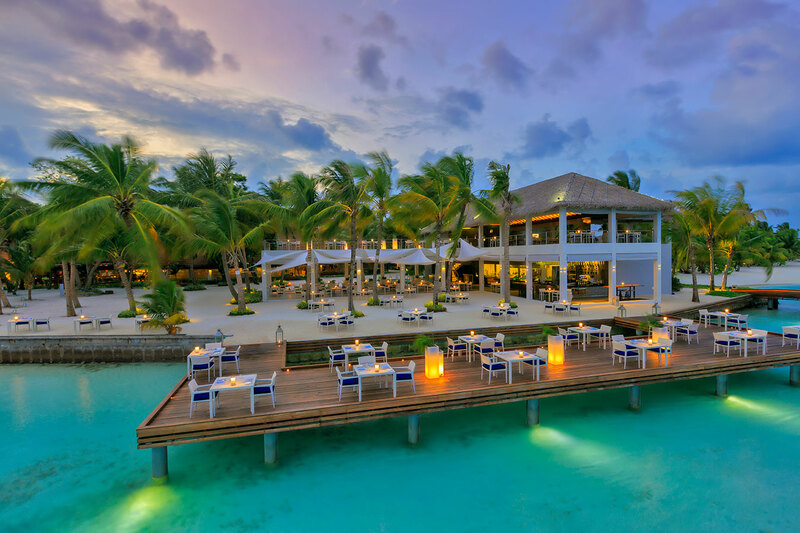 Kalhu Bar features an extensive drinks menu in a lively venue, Sounds of the Sea is set in a tranquil location to enjoy peaceful evenings, Athiri Bar casts unparalleled views over the Indian Ocean, and Kandu Ba is home to an overwater deck and serves signature cocktails. 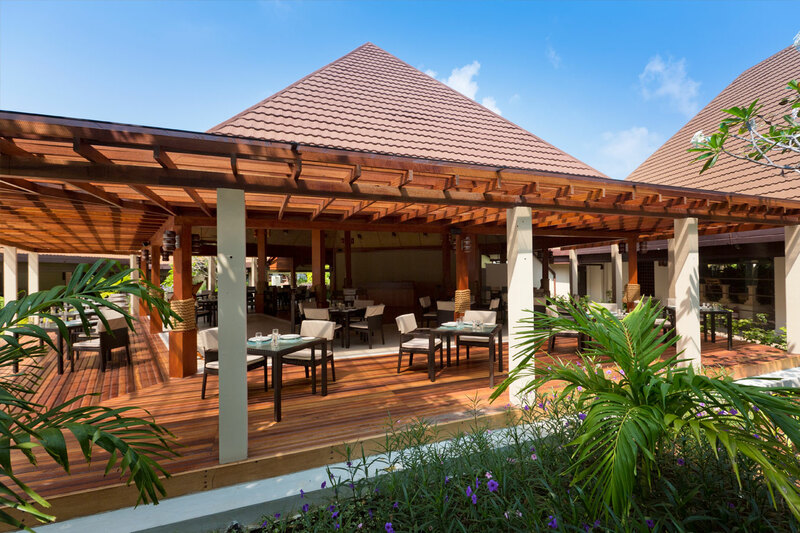 In the evening, the Kandu Ba hosts live music, Maldivian dancing and a resident DJ. Discover a range of exciting water sports including: catamaran rides, sailing lessons, snorkelling, windsurfing, waterskiing, wakeboarding, jet ski safari, parasailing, and banana boat rides. Learn to scuba dive and explore the colourful coral reefs and tropical marine life on an excursion with a PADI instructor. Guests can also enjoy: yoga, tai chi, fitness classes, and tennis, plus access to the 24-hour gym and games room. For indulgent days, escape to the Veli Spa and choose from a range of rejuvenating treatments, therapies, and romantic couple experiences. 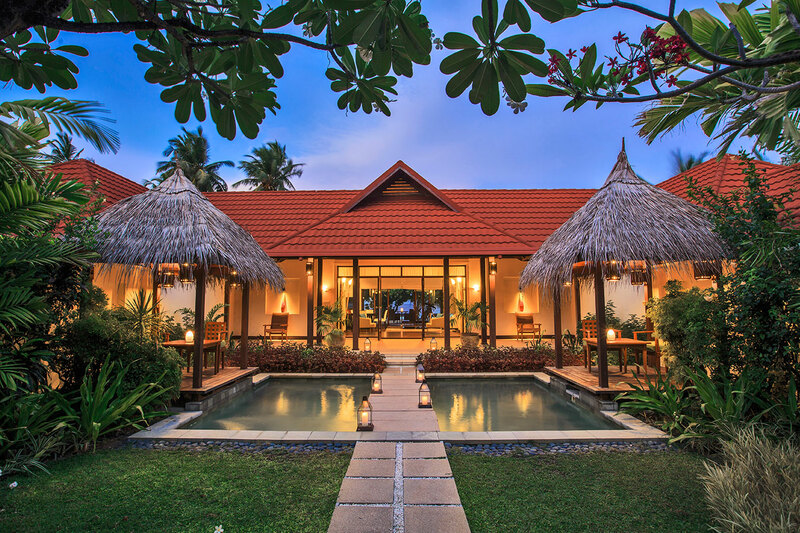 Also available on-site is a selection of classes including cocktail and Maldivian cooking demonstrations. For children, there is the Majaa Kids' Club for ages 4-12 years hosting exciting indoor and outdoor activities. A number of unforgettable excursions are available including: sunset and dolphin discovery cruises, guided night snorkelling, glass bottom boat tours, reef fishing, and island tours. 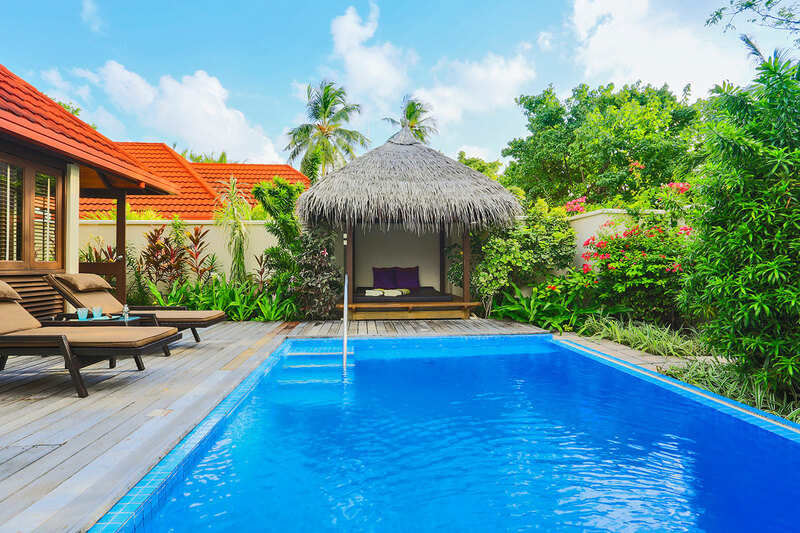 Guests staying at Kurumba Maldives have a choice of nine room types, adorned with fresh and contemporary decor plus a host of luxury amenities. Superior rooms include: indoor and outdoor standing shower, bathtub, aromatherapy bath amenities, bathrobes, hairdryer, beach slippers, beach bag, beach towels, iron and ironing board, air-conditioning, minibar, tea and coffee making facilities, flat screen TV, DVD player, safe, and complimentary internet connection.